A rich and extensive vocabulary boosts your chances to do well in the PTE exam. It plays an important role in helping you obtain good score in all the four modules: Speaking, Writing, Reading and Listening. Moreover, a good lexical range makes your Writing and Speaking skills more powerful in personal and professional arenas as well. Working to sharpen your vocabulary essentially needs to be a part of your PTE preparation plan. Majority of PTE students start vocabulary building process but often have a complain about not being able to remember new words for a long time. Well, we will discuss about that towards the end of the post. But before that, read this post thoroughly and get some amazingly useful tips to help you expand your range of Vocabulary. Why is enjoying the vocabulary building process important? Being honest, building Vocabulary is not a single day affair. It takes time, perseverance and passion. If you impel the process upon yourself, it will barely fetch good results for you. So, learn every new word that you come across, understand its meaning and try to use it wherever possible. Buy a dictionary and a thesaurus. There are plethora of good thesaurus and dictionary apps available on Google Play and Apple store as well. 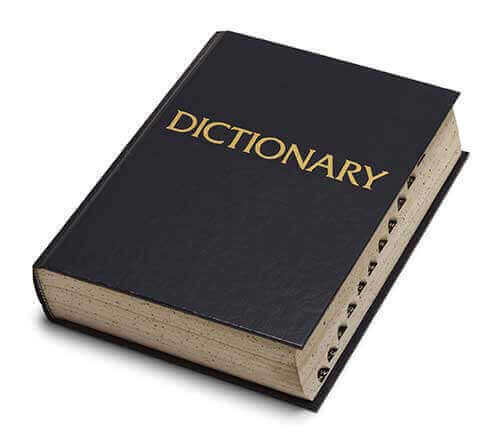 While dictionary will help you know the meaning of every new word you stumble upon, thesaurus will help you with the synonyms and antonyms of the word. Well, we know that it is not possible to memorize all of them, but you can pick the best 2 or 3 words that caught your attention. If you are not, be now! Read the topics that you are interested in - whether it is regarding travel, food, technology, science, fiction, drama, sports or literature. You can even read novels, e-books, blogs and magazines of your choice. The more you read, the more words you will be exposed to. Also, you will be able to understand those words in context. Well, reading lots and lots of books and magazines are not going to do any good unless you read them with undivided attention and understand the context of the words, phrases and idioms used in it. Memorizing those words and using them in your everyday life will be of great help in expanding your vocabulary. Besides reading, you can also subscribe to one word a day. There are a myriad of vocabulary building websites that deliver one word a day right into your inbox. Merriam Webster is one such website to start with. You can enhance the Vocabulary building process with some fun activities like playing games that revolves around vocabulary. There are a number of word games available on the play store. You can play these games and even compete with friends. Thus, learning can be more interesting and exciting. Having known some amazing ways to improve your Vocabulary, let’s head towards the solution to the most common problem that most PTE aspirants face. What is this common problem? Not able to memorize new words. Well, here is the solution! If you are finding it difficult to remember new words for a long time, do not worry! You are not alone. There are many around you facing the same issue. Have you ever wondered what makes it so difficult? As per a study, our brain automatically forgets the information it believes to be unnecessary. Hence, it is very important for us to recall the new words we have learned over a period of time. But, how will you do that? Here is a tip that worked for many aspirants. Hope, it will work wonders for you too. Take note of words that you learn. Write meaning of these words next to them. Understand those words in context and use them while you write or speak. This will help you remember the words in a better way. Revise the list of words you made at regular intervals i.e. daily, weekly, in 10 days, 2 weeks, 1 month or whichever is suitable to you. Keep on learning new words regularly while continuing to memorize the previously learnt words. This practice will help you remember all the words you learnt till date. To really shine out in your PTE Academic Test, make sure that you not only recall different words but also know to use them in context. Practise well before you book PTE-A Test so that you can perform well in the actual exam, exhibit a good range of vocabulary and fetch high score. Must Read -Explore More Tips on Improving Your Vocabulary Here!